Sony <?xml:namespace prefix = st1 ns = "urn:schemas-microsoft-com:office:smarttags" />Ericsson has just unveiled four new mobile phones - T200, T300, T600 and T61D. T600 is a Tri-band (900/1800/1900 Mhz), with black and white LCD, MMS and WAP. For gaming it features entertaining games with force-feedback (vibration). It weights only 2.1 oz (60g) and has talk time of 1.5-5h and 80-180 hours of stand-by time. The T600 comes in three colors, Moonlight Silver, Marine Blue and Sand Gold. It is also available for the Chinese speaking market and is branded as T602. The T300 is Tri-band (900/1800/1900 Mhz) color LCD phone, high-speed data (GPRS), polyphonic ring signals and MMS. In addition it features changeable fronts. 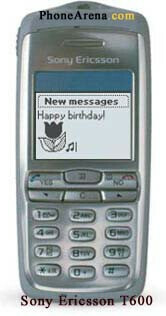 The phone is expected to be released on the market in Q4 2002. The T200 is again Tri-Band (900/1800/1900 Mhz) black and white LCD screen, high-speed data (GPRS) and Picture ID. The last feature allows the user to add a picture to a contact in the address book. When this person calls, or is being called the picture is displayed together with the name.It also features 5 games - Ballpop, Q, Path, Pulldown and Tennis. The phone comes in two colors, ebony black and ice blue. The calendar in the T200 keeps track of meetings, anniversaries and to do lists. The T200 accesses mobile Internet at fast speed over the GPRS network and through a WAP 1.2.1 browser. The phone allows 13 hours of talk time and up to 220 hours of stand-by time. 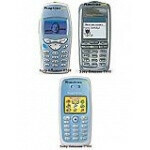 The last phone introduced is the T61D which is the first Sony Ericsson model for TDMA systems. It features black and white display, allows users to store up to 500 contacts with multiple numbers per name. Also, it has different PIM features like reminders, appointment, alarm and user-friendly transfer of calendar and contact data between the PC and the T61d. Available in Apollo Grey, the T61d also offers interchangeable faceplates in red, blue, orange and green. 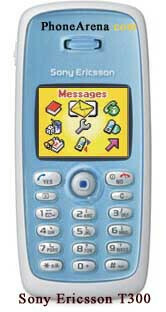 In addition, the T61d is the first Sony Ericsson phone to be meet FCC requirements for compatibility with TTY. The T61d has up to 3.75 hours of talk time and up to 225 hours of standby time. 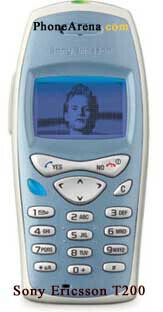 The phone is expected to be available in Q3 2002.